Power up event planning. Improve the attendee experience with event planning surveys and feedback forms. Surveys are an indispensable tool when participating in or planning an event, tradeshow, or seminar. Sending out an Event Planning Survey guarantees feedback from potential attendees, allowing you to accommodate the most popular choices for food, entertainment, date, and time. With a limited budget, Event Planning Surveys are a quick and cost-effective way to gather information to help you more efficiently prioritize and allocate resources to the most important parts of an upcoming event. A pre-event survey is a perfect tool for nailing down the logistics of your gathering, helping you make critical decisions based on feedback from the very people you most want to attend. As you distribute the survey to target attendees, it also serves as promotion for the event itself. Ask specific questions about what attendees would like to get out of the event, how interested they are in the subject area of the event and how likely they are to move further in working with your company. For events such as training, you can also apply branching, allowing a participant to proceed with registration or to receive a polite note explaining that this training may not be relevant, based on the answers he or she provided. SoGoSurvey online software enables you to collect opinions and suggestions before the event, while also capturing feedback during and after the event, all in a fast, effective and affordable manner.  Stay ahead of the competition by investing in SoGoSurvey. Take one more thing off your to-do list. Our Survey Design Service get your work done for less than you’d expect. "I am thrilled that you have included the instructional videos in almost every task in case we face a problem."